Danger and motorcycling go hand in hand which is one of the reasons it’s such a thrilling experience. 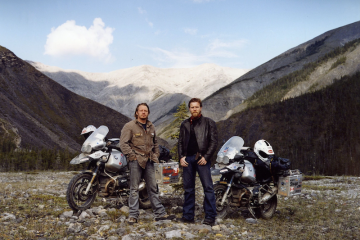 But adventure rider Billy Ward decided to turn the danger level up to 11 when he rode a Honda VRF800 through war-torn Iraq with his mate Claudio von Planta. Yes, that Claudio, from the Long Way Round, Down, and soon to be Up. Billy works as Charley Boorman’s agent, which is how he met the motorcycling cameraman. The pair have been mates for years. Like many adventures, the idea of riding through Iraq came after a few beers. Drunken bravado morphed into a plan and four weeks later, Billy and Claudio found themselves landing in Iraqi Kurdistan ready for adventure. However, as the plane landed, Claudio fessed up he was trying to smuggle a banned military drone into the war-torn country. Machine-gun toting airport security led the pair away for interrogation, but despite the discovery of the drone, they were allowed into the country. Before they could start their adventure, they needed to find motorbikes to ride. 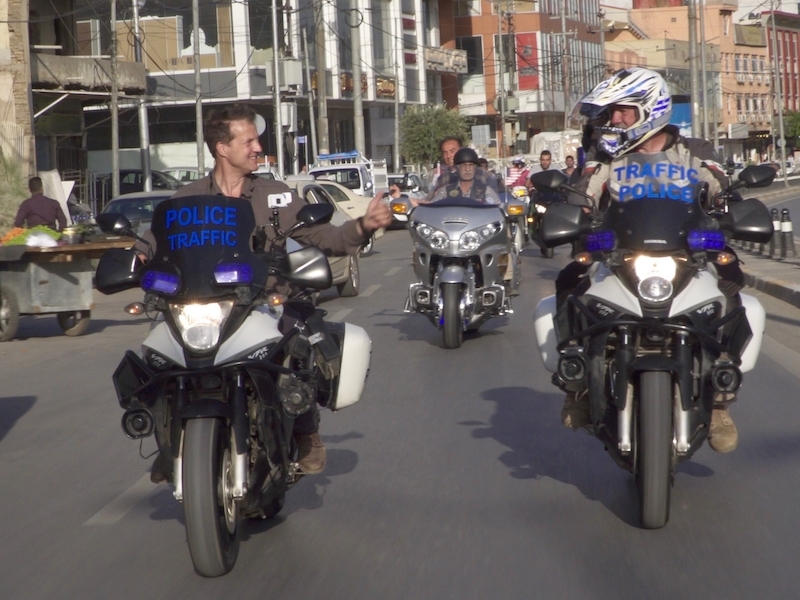 A chance encounter with the Mayor of Erbil led to a meeting with the head of Iraq’s secret police, who provided them with two old Honda police bikes to use. They featured sirens, blue lights and even rifles. After declining to take the guns, Billy recalls they were advised to “put the blue lights on and the siren, and ride as fast as you can” in the event they encountered any trouble on the road. The pair travelled from the Iranian border on the east side of Iraq, across to Mosul, zig-zagging the area to cover around 2,000 miles in two weeks by motorbike. They filmed their adventures and are currently in talks to turn the footage into a television show called Bikers Beyond Borders. The threat of attack from militant group ISIS was never far from their minds, particularly during a stint spent on the frontline staying with the Peshmerga, the Kurdish fighters in northern Iraq battling ISIS militants. But, despite the fighting, it was the warmth and generosity of the people they met along the way that left the biggest impression. This included a thriving motorbike scene which turned out in force to form a parade through the city of Erbil on Billy and Claudio’s last day in the country. Since returning home, the pair have been working to get Bikers Beyond Borders commissioned for television. 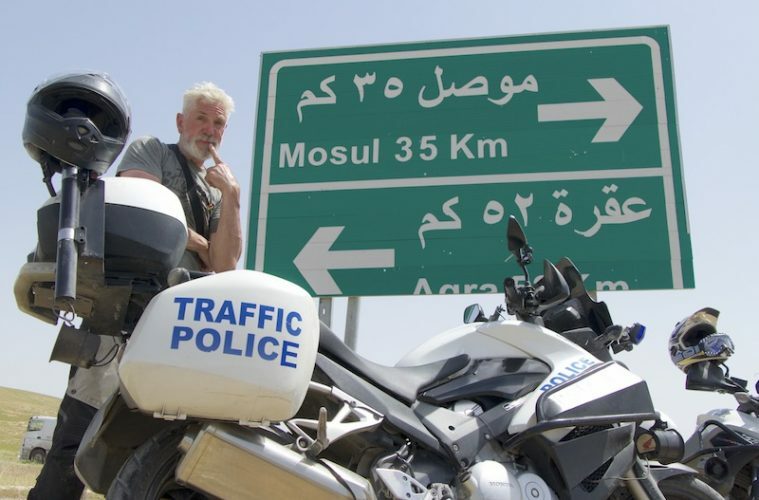 The journey through Iraq would be the first episode in a series that would see Billy and Claudio travel to extreme adventure biking destinations throughout the world. 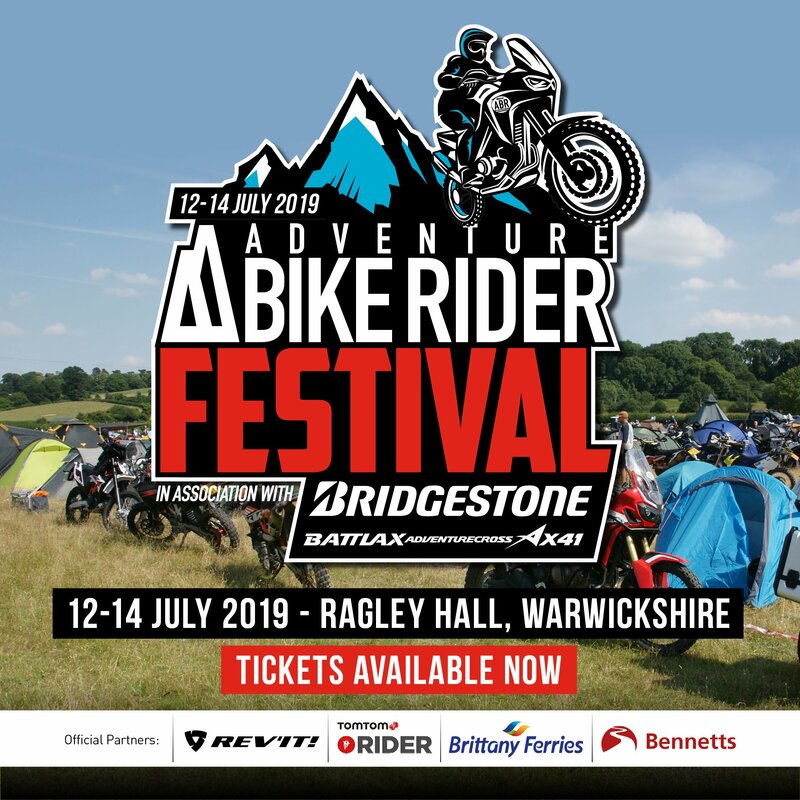 Going by the two-minute teaser trailer, we think it would make a superb watch and we’re sure there would be plenty of adventure bikers out there eager to tune in. 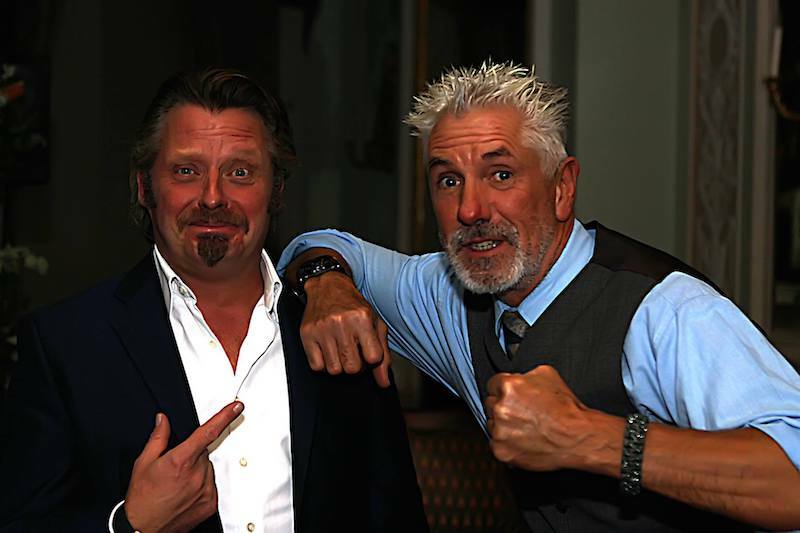 If the show does gets the green light, Billy may find himself competing for television ratings with his famous client and mate Charley Boorman next year. You can read a full interview with Billy about his journey through Iraq in the March/April issue of Adventure Bike Rider magazine. If you would like to experience riding with Billy in a more relaxed environment, he is leading a series of motorcycle tours through Morocco in May. As a rider, he has led bike tours throughout the world, including the USA, South America and Australia, but he regularly returns to Morocco to share his passion for riding in the North African country. You can join a tour led by Billy by visiting the Wheels of Morocco website.